I went to the new Star Trek movie yesterday and well... ARRRRGGGHH!!! ALTERNATE REALITY!!! AGAIN??? First it was Bobby Ewing dying on Dallas, then coming back the next season, it all being someones dream. 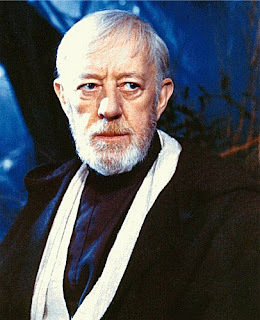 Ok I didn't watch much of Dallas and didn't care that much.Then it was alternate reality Fantasy Island, that died so hard that there was a movement in the force that made Obi Wan Kenobi break wind. Today it is an alternate reality Battlestar Galactica that doesn't even attempt to make up an advanced alien world. They shoot their planet shots on Earth using today's tech, clothing styles, and I guess cars (Starbuck has a Humvee). Oh and Starbuck is now a woman. Alternate reality Dukes of Hazzard where Boss Hogg is not short and fat, but is now Burt Reynolds, and Daisy Duke is..... well ok that one I can live with. Last night it was Star Trek... What's next alternate reality Green Acres? Arnold Ziffle is now a dog or a cow, Mrs. Douglas is now Brunette and, Mr. Haney is thin. Or alternate reality Gilligan's Island where they obviously vote Gilligan off of the island? In Star Trek they have always made such a big deal about preserving the timeline. From exterminating the Borg that had infected the Earth, to saving the whales. Oh yeah and making sure that Edith Keeler must die. What the director and writer has forgotten is that in the Star Trek universe, time travel to fix things has been done before. Spock knows the mathematical calculations to fly in little circles around the sun at warp speed to go back in time. Then they could prevent Captain Nero from destroying the USS Kelvin, and Vulcan. Maybe even save Romulus... maybe. Or use the guardian of forever??? Didja forget about that one Spock? When you jumped through a big electric donut to keep the stoned Dr. McCoy from screwing up the timeline while he was having a bad trip. Or and when Captain Picard went into the Nexus to fix the past. Maybe Spock could figure out how to do that. Just jump into an electric ribbon in space then fix everything. Picard did! Don't forget the Quantum Leap guy is now a part of the Star Trek universe... Heck get him to fix it! Or maybe... the destruction of Vulcan, the loss of his home planet upset Spock so much that he forgot that he could fix all of this. Well he is 200 years old, maybe he did forget! (EASY TREB... Breath, it's not real... It's a movie based on a TV show from... 40 years ago). Whew... Ok I'm back. Sorry I didn't mean to fly off. I was just a little distraught at them negating 40 years of MY LIFE... (Treb...) oops.. Sorry there I go again. Hey... it happens to all people, don't tell me it doesn't. Like you people who are sooooo into finding out what Edward and Bella do next. So cut me some slack. Actually, I really enjoyed the movie. As a trekie, excuse me, trekker I can accept all of this because it makes for good stories, and breathed new life into an aging (and slightly stale) genre. I can separate the new from the old, and be fanatical about both. Don't expect me to be putting on ears or dressing up for movie premiers. I don't roll like that. However, I do like the stories and the characters that I grew up with. Kudos to J. J. Abrams. you watch way too many movies...and know waaaaaaaaay too much about them!